Tony Award winners Jeremy Irons and Joan Allen return to Broadway in Impressionism, a love story – no matter how you look at it. Written by Michael Jacobs and directed by three-time Tony Award-winner Jack O’Brien, this remarkable portrait of human nature marks Mr. Irons first Broadway appearance since his 1984 Tony-winning turn in The Real Thing, and Ms. Allen’s first since her Tony-nominated performance in The Heidi Chronicles in 1989. Preview performances begin at the Gerald Schoenfeld Theatre on Wednesday February 28th, 2009, and tickets are on sale for performances through Sunday, July 5th, 2009. Service charges apply to phone and internet orders. Schedule subject to change. Ticket availability is subject to prior sale to subscribers, groups and theatre parties. There is a 25 ticket limit per 7 day period, per name, credit card account, billing address, phone number, IP address, and/or e-mail address. Tickets purchased which exceed this limit will be canceled without notification. Certain types of seating may have a different ticket limit. Interested in bringing a large group to see a show? Discounts are available for Broadway and Off-Broadway shows through Telecharge.com Group Sales or by calling 212-239-6262 or 800-432-7780 . Celebrity shows are everywhere – but here’s one which is bigger than the sum of its famous stars. I don’t know why it has taken the BBC so long to get the DVDs out, considering we’ve seen Series 5 on TV already. What’s great about Who Do You Think You Are? is that the celebrities are picked on the strength of their family stories, not on how famous or popular they are, so you get a great eclectic mix. Even David Dickinson – usually such an irritant – is watchable as he talks about his adoption and finding his real parents. You also get stars who are so keen to take part, they put aside their usual reticence about doing publicity. So you get to find out more about usually shy celebs like David Tennant and Robert Lindsay. It’s also beautifully filmed. 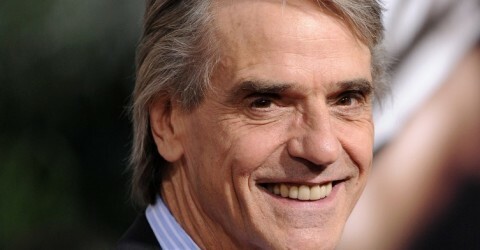 Jeremy Irons galloping across fields on his horse near his home in Ireland is stunning (if a little luvvie). Buy the boxset with series one to three, and you also get a DVD about how to trace your ancestors. Rehearsals for the new American play IMPRESSIONISM starring Tony Award winners Jeremy Irons and Joan Allen will begin on Tuesday January 20 in New York. The production, which will be directed by Tony Award-winner Jack O’Brien, will begin preview performances on February 28 and open on March 12 at the Gerald Schoenfeld Theatre (236 West 45 Street). The cast features Marsha Mason, Andre DeShields, Michael T. Weiss, Aaron Lazar, and Margarita Levieva. IMPRESSIONISM’s creative team is Scott Pask (scenic design), Catherine Zuber (costume design), Natasha Katz (lighting design), Elaine McCarthy (projection design) and Leon Rothenberg (sound design). Original music is by Bob James. The production will mark Ms. Allen’s first return to Broadway since The Heidi Chronicles in 1989, and Mr. Irons’ first time on Broadway since The Real Thing in 1984. IMPRESSIONISM will be produced by Ostar Productions. IMPRESSIONISM is the story of a world traveling photojournalist and a New York gallery owner who discover each other and also that there might be an art to repairing broken lives. 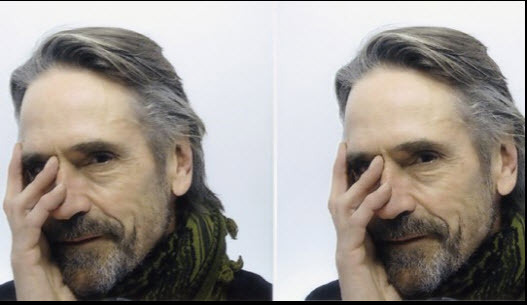 Jeremy Irons is appearing with the permission of Actors’ Equity Association. The Cherry Orchard, has a new, streetwise, adaptation by Tom Stoppard, directed by Sam Mendes (husband of Kate Winslet, who attending the opening) at the Brooklyn Academy of Music. It’s the first Bridge Project effort, a UK (Old Vic)/US (BAM) intermingling of splendid actors and repertory, a caravan of itinerant talents and projects (Next up: Winter’s Tale). Sinead Cusack (another famous spouse–Jeremy Irons was sitting just a few rows away from Kate Winslet) is Madame Ranevskaya, the spend thrifty lady whose orchard is being sold off for debts.